Talk about your favorite firearm. Thinking about buying a gun as a gift? Before you go out and by a gun for your wife, girlfriend or anyone, stop and consider all the ramifications. First, be sure you are following all applicable laws concerning the purchase. If that is not enough to stop you, consider this: Would you buy a pair of shoes for your wife or girlfriend? Probably not. Because you can’t be sure they would fit her foot properly or that she would actually like them. Guns are like Shoes. Yes, really. If you really want to help your significant other get into the sport of shooting or guns for self defense, consider a training class first and foremost. Without training, any weapon can be useless or even self destructive. If safety is on your mind, education is absolutely the most important gift you can give another person. Purchase a training class from a reputable instructor, or consider a gift certificate and let her pick out an instructor or class that meets her needs. A good class will not only teach her gun safety and operation, it will go a long way towards helping her to understand HOW TO CHOOSE A HANDGUN. In today’s world, learning to safely operate a gun could save a life. Even if you don’t own or carry a gun. What would you do if you found a dropped gun? How would you respond to an Active Shooter Event? Training is everything. Choosing the tool is secondary. Women and Guns offers customized training for women and is offering a FREE training class on Active Shooter Training. Click on the link for details. Editor’s Note: This article is part 4 of our series about the National Shooting Sports Foundation’s (NSSF) report, “Women Gun Owners: Purchasing, Perceptions and Participation.” We invite you to read part 1 here. Research shows that the single largest reason motivating women to buy guns is personal defense. We’ve explored nearly every facet of firearm ownership for women except for a very fundamental question: What are the reasons motivating women to purchase and own firearms? In G&A’s fourth and final installment of the NSSF’s report, we examine the driving factors of a woman’s interest in owning firearms. According to the survey, the biggest motivator for a woman’s firearm purchase is personal defense. Nearly half of the women in the survey cited either self-defense (26.2%) or home defense (22%) as the “most important reason to own a gun.” Hunting was also a significant motivator for ownership at 15.3 percent, but no other factor garnered more than 10 percent of the responses. NSSF Report: Women’s most important reasons to own a gun. To further substantiate the claim that women primarily purchase firearms for defensive use, we can explore the “attitude” data in the report. Exactly 81.6 percent of the women surveyed agreed with the statement, “I feel more secure now that I own a gun.” Only 3 percent disagreed. Nearly 71 percent of the women responded in the affirmative to the statement, “I feel a need to own a gun for safety reasons,” and exactly half of the women agreed that they “feel more empowered” by gun ownership. As a tangible indicator of a woman’s defensive mindset, 42 percent of those surveyed possess a permit or lawful right to carry a concealed firearm and an additional 29.4 percent planned to obtain a permit in the 12 months following the survey. NSSF Report: How women feel about owning a gun. There is one trend, other than self-defense, that is emergent in the data: a desire to be self-reliant. Perhaps due to natural disasters such as Hurricane Katrina or a nationwide movement toward survival preparedness, women are giving more thought to being able to function in an austere environment. Nearly 74 percent of women agreed with the statement that it is “necessary to know how to use a gun for survival” and 4.5 percent of women cited a desire to be self-sufficient as their primary motivator for purchasing a gun. This information may not be groundbreaking news to some, but it is interesting and suggests that women are not immune to societal trends in this area. Most women gun owners stated they felt more secure and empowered because they owned a firearm. Women today are buying guns for everything from collecting to competition shooting, but the primary factor influencing women to purchase a firearm is clearly their personal safety and that of their loved ones. This is perhaps the least-surprising conclusion that we’ve seen from the data and one area where the stereotype meets reality. When we examine the NSSF’s report in its entirety, the data tells us that women are buying guns for self-defense, buying the right hardware for that purpose, and that they are seeking professional training to use them safely and effectively. As gun owners, we should all be supportive and encouraging this movement forward and avoid reinforcing age-old social stereotypes. Editor’s Note: This article is part 3 of our series about the National Shooting Sports Foundation’s (NSSF) report, “Women Gun Owners: Purchasing, Perceptions and Participation.” We invite you to read part 1 here. In Parts I and II of this series exploring the NSSF’s study on Women Gun Owners, G&A established that the traditional stereotypes regarding women and firearms have proven to be largely misunderstood. So then how are women choosing a firearm to purchase? Are their decisions hasty or guided by a male’s influence as so often portrayed? The NSSF report discusses this issue. Sixty-seven percent of women in the survey spent a few months thinking about buying a gun before they made their purchase and many considered the decision much longer. Women are not impulsive gun buyers. Less than 5 percent of the women surveyed stated that they made the purchase without at least a few days’ reflection. During the time that women contemplated a gun purchase, they were doing homework … to a greater extent than male counterparts. Of the women polled, 96 percent sought information from at least one source before purchasing a firearm. The most popular information was gained through a woman’s family. At least half of all female gun buyers consulted a firearm manufacturer’s website and/or discussed the information with friends. Half of the women conferred with personnel across a gun counter before making their final decision, and just over a third consulted online discussion forums. Only 25 percent of the women scanned print magazines or periodicals before making their purchase. By the numbers, it’s also clear that most of the women surveyed considered multiple sources before making a choice. After the NSSF’s careful research, women primarily headed to local gun shops to make their purchase with 58 percent choosing small local businesses. Almost all of the remaining customers bought from big box stores such as Bass Pro Shops, Cabela’s orWalmart. Less than 13 percent of women polled bought guns at a gun show and less than 1 percent purchased a firearm from a pawnshop. It became clear to G&A from the data in this report that women are highly informed buyers when it comes to making a firearm purchase. Women are spending a great deal of time considering their purchase and are actively seeking out multiple information sources before joining the gun-owning fraternity. Editor’s Note: This article is part 2 of our series about the National Shooting Sports Foundation’s (NSSF) report, “Women Gun Owners: Purchasing, Perceptions and Participation.” We invite you to read part 1 here. NSSF research shows women aren’t always shopping for pink guns, as depicted by this Taurus Model 85revolver. Last week we explored the raw demographics surrounding women and guns. G&A discovered that many of the long-held stereotypes didn’t fit. In this segment, let’s explore the specific types of firearms that women purchase or own to consider whether the manufacturers are giving women what they really want, or rather what they think women want. So what type of firearm is a lady more likely to own: Perhaps a revolver? In fact, 56 percent of the women polled own a semiautomatic handgun, making it the most popular type of firearm for women. Shotguns are a close second with 49.5 percent ownership. It’s worth noting that if a woman only owns one firearm, it’s more likely a shotgun (37.7%), with semiauto handguns coming in a very close second. Interestingly, a fifth of the women polled own a Modern Sporting Rifle such as an AR-15 with ¾ of those belonging to women who own but a single firearm. That cliché revolver? Only 36 percent of the respondent women actually owned one. We have all seen the marketplace respond to female gun purchasers in recent years by offering guns and accessories in various feminine colors and patterns. Are pink and leopard print guns really motivating women buyers? NSSF explored that very question. When women were asked what factors motivated their purchase of a specific firearm (the respondents could choose more than one factor), 93 percent of women indicated that they chose products based on what was best-suited for their particular use. 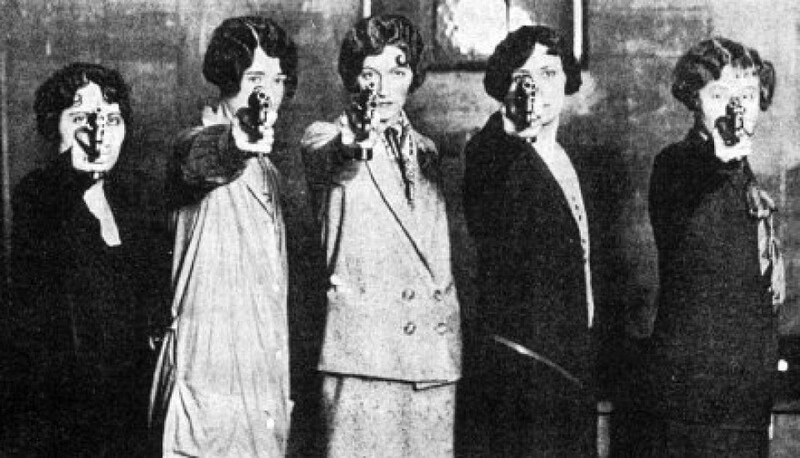 Ninety-two percent of women stated that they chose a specific firearm because it fit their body or hand. Price and value were significant drivers with “best value” being a factor for 74 percent of women purchasers. 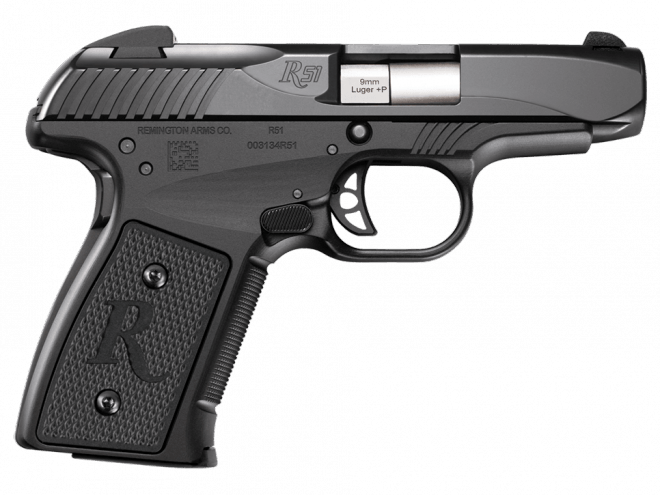 So how many ladies made their decision based on a firearm’s feminine look and feel? Only 19 percent. Even fewer, less than 10 percent, chose a firearm based on a feminine color and fewer still were impressed by firearms adorned with leopard spots and flowers. This trend was consistent across both age and geography with younger women and women in the Northeast only slightly more interested in pink guns than women in older age groups. The traditional stereotypes regarding women and firearms have proven to be largely misunderstood. Women are buying guns that best fit their needs and bodies, not those that fit in the traditionalist’s view of what a woman should have.